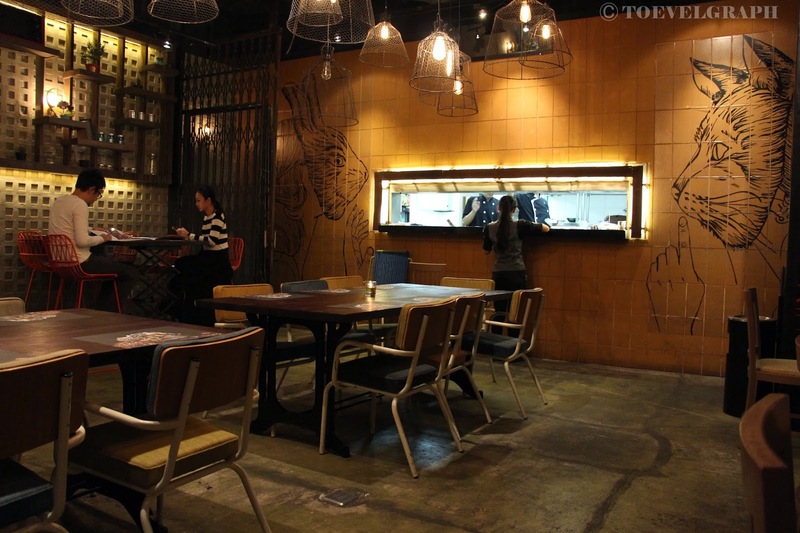 TOEVELGRAPH: Howdy Hello Hola Hey Ho! 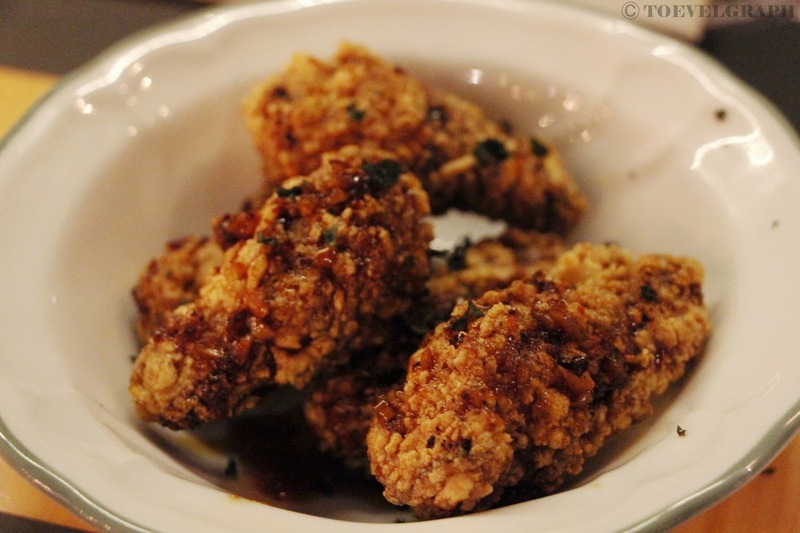 Marinated chicken wings, fried and tossed in caramelized fish sauce, crunchy garlic and herbs. The wings were tasty! Crisp coating and sweet sauce. But I think the meat was a little bit too salty. 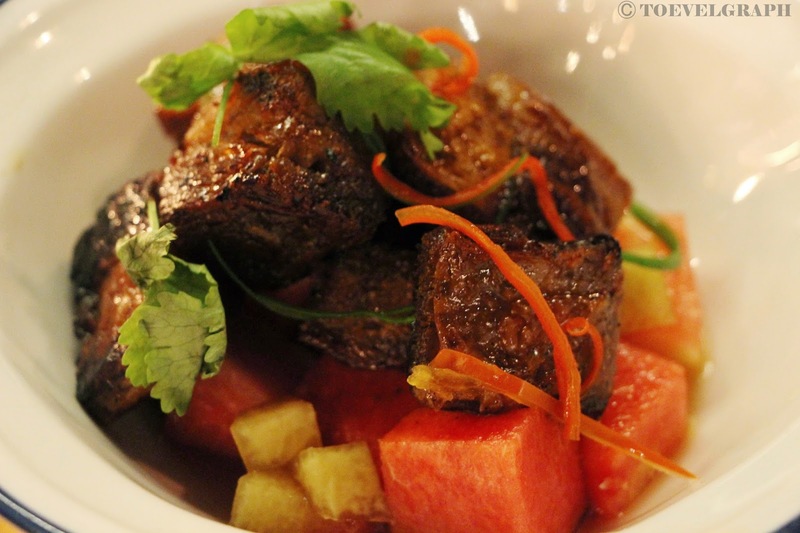 Pork belly coated in black pepper caramel served with fresh watermelon cubes, pickled rinds and toasted sesame. Crispy pork belly, sweet watermelon with sour and crunchy pickled rinds. Quite weird combination, but good. 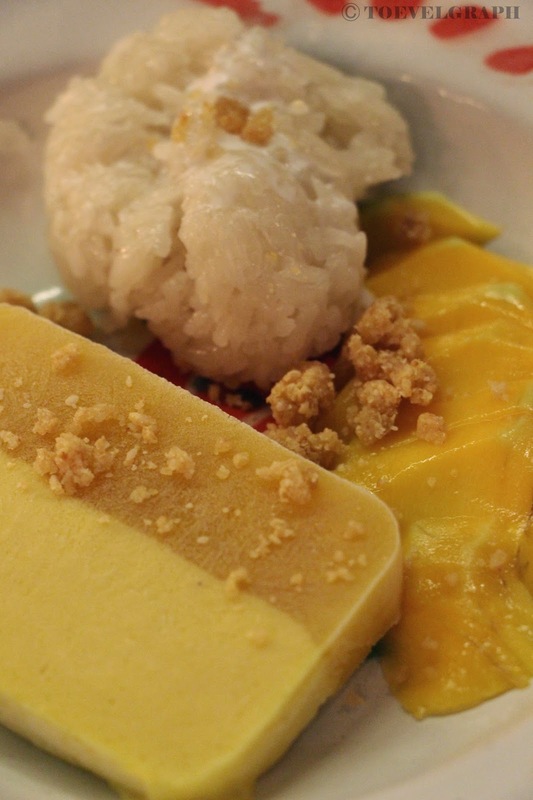 Warm thai sticky rice with fresh mango slices, mango-cream icy bar and sesame brittle. The fresh mango was too sour, like wayyyyyyy too sour! :( But the mango-cream icy bar was nice.